Applications Available for Miss CMSF Pageant! Home › Latest News › Applications Available for Miss CMSF Pageant! (PASO ROBLES, CA) – Applications are now being accepted for the 2019 Miss California Mid-State Fair Scholarship Pageant. Contestants must be between the ages of 17-24 on opening day of the 2019 Fair, be a current resident of San Luis Obispo County, and have never been married. Each contestant will compete in five categories: Interview, Platform, Talent, Swimsuit and Evening Wear. In addition, each contestant will establish a platform of service for the Fair. If selected as Queen or a Princess, they must be able to attend every day of the 2019 Fair, participating in numerous public events such as introducing performers, taking pictures and meeting with various dignitaries. Contestants will receive numerous goodies, with the Queen and Princesses receiving prizes from local businesses. The pageant takes place on Tuesday, July 16, 2019 at 6:30 pm on the Frontier Stage. Admission and parking are free. A no-obligation orientation meeting will be held Wednesday, April 10, 2019 at 6:00 pm in the Skybox at the Paso Robles Event Center. Applications are officially due Friday, April 26, 2019 by 4:00 pm, and are available at the Paso Robles Event Center, 2198 Riverside, Paso Robles or on-line at www.midstatefair.com. For more information, contact pageant coordinator Patti Lucas at 805-612-6971 or via email at pglucas19@gmail.com. 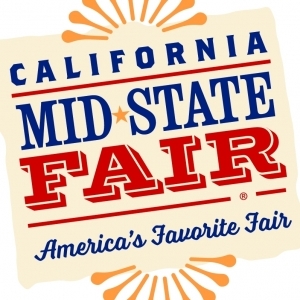 The 2019 California Mid-State Fair runs July 17-28 and this year’s theme is “Let’s Have S’More Fun!” Connect with the California Mid-State Fair on Facebook, Instagram, Twitter, Snapchat and YouTube.